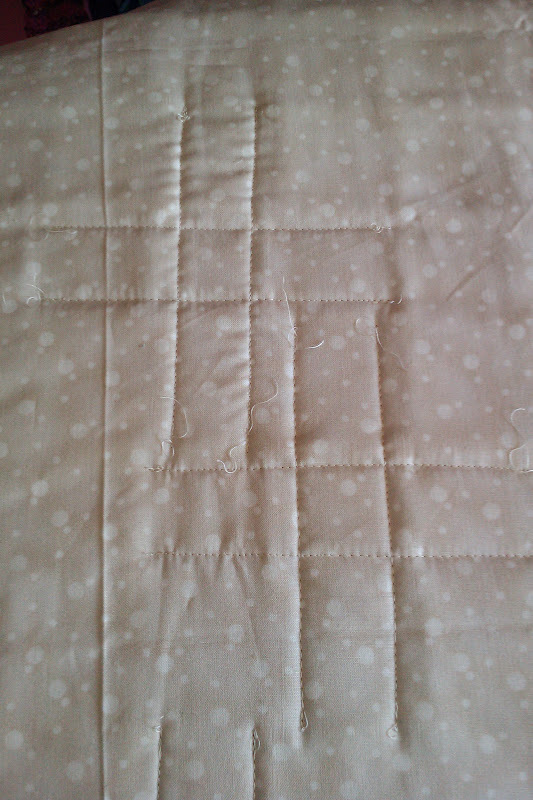 I was really chuffed with my perfect points, and started quilting it, but it is too thick to be a baby's quilt - it's like cardboard! 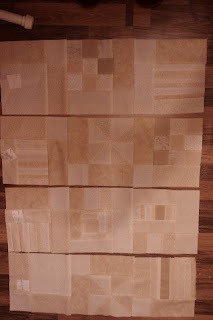 So all that work (plus time, fabric, wadding) was a bit pointless . . . and to make it worse the customer texted to say the baby she wanted it for has arrived! 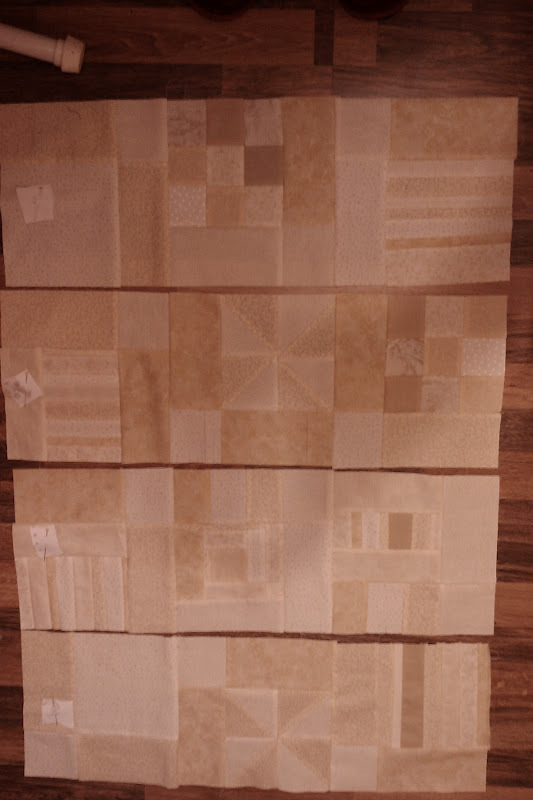 The baby is to be called Luke (shame it wasn't Henry) so I'm frantically making another Orphan Block Vanishing 9 Patch, and will hope to get it finished by the weekend. There was enough fabric for the top, but I need to get to a fabric shop tomorrow for the backing! Well how inconsiderate of that baby to put in an appearance already ;o) Happy shopping tomorrow! You can't lose all this hard work, and very interesting technique you have worked on. 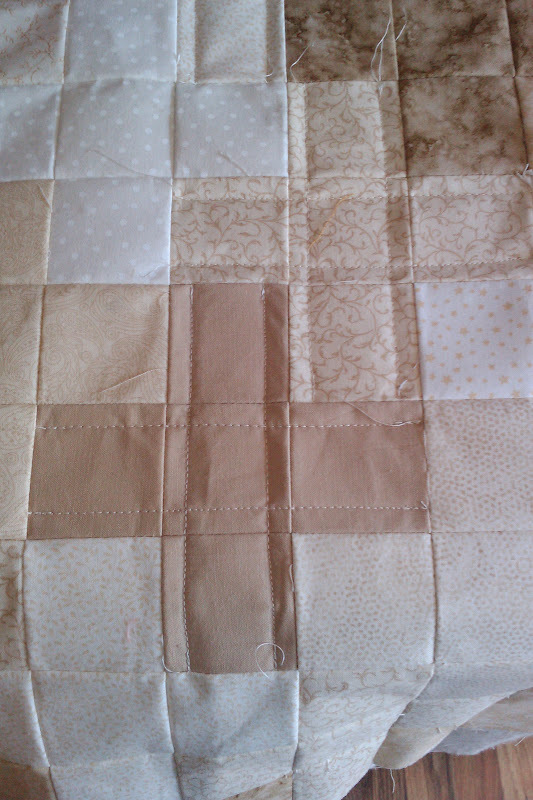 There must be a way to rescue this quilt. and good luck on making another one, you are so good. Babies huh? 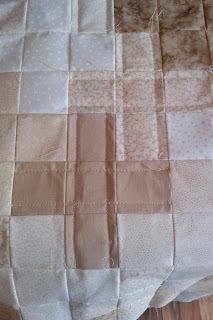 Not consideration or stamina for a concrete quilt! 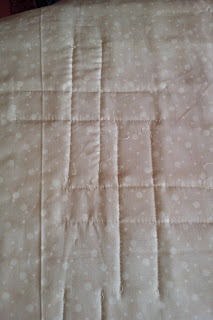 Could you tie it instead of quilting it Benta?